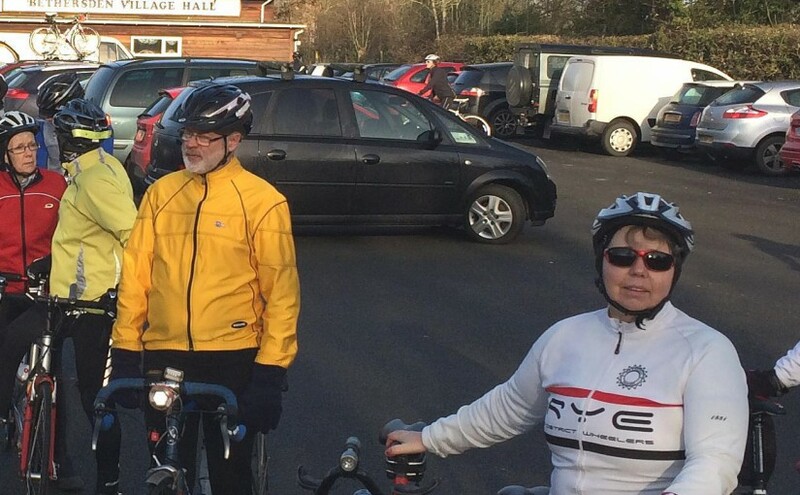 Cycling clubs from all over East Sussex and Kent took part in the Kent Group VTTA Annual Reliability Trial which started and finished at Bethersden on Sunday 8 February. The coveted Gina & Phil Gaynor Shield, which has been awarded to the club with the most riders finishing within their time standard, since 1998, was won for the first seven years by San Fairy Ann Cycling Club from Maidstone. Then Rye & District Wheelers came out of hibernation and took the shield for the following eight years. Last year, a new club, Tri Spirit from the Woodchurch area, snatched the trophy from Rye. competition are invited to join the Rye Club. The scene was set in 2015 for a tussle at the top and Rye Wheelers came out on top with a clear win over Ashford, Tri-Spirit, San Fairy Ann, Thornton Road Club from Dymchurch and Hastings & St Leonards Cycling Club. There were many other clubs represented in the event which was blessed with cold, bright winter weather. It is a good omen for the Rye club who have many quality riders in it’s ranks, both Senior and Junior. 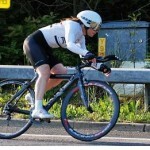 They are well set to do well in the Time Trial events that start next month with the Kent Cycling Association Three-Up 25 Mile Team Time Trial. Nick Wilson, Steve Gooch and Pav Bryan will make up the number Rye Wheelers number one team and there will be at least two formidable trios backing them up. Thornton Road Club and Hastings & St Leonards C C also field strong riders for the 2015 season and competition will be strong both against each other and against the sponsored and trade teams. Cyclists who enjoy a mixture of club runs, racing and other recreational cycling are welcomed by all of the local clubs. Don’t worry about standard or fitness, all are welcome and encouraged. 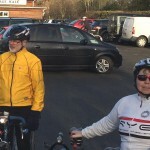 Rye Wheelers particularly welcome women cyclists, they have become one of the best known clubs in the country for promoting women’s cycling at all standards. Ladies representing the club have won both individual and team National Championships. Many women from the Wheelers have also enjoyed the social activities, gentle club runs and cycling trips to France.